This is the NHL 2018/2019 schedule in ACST – Australian Central Standard Time. Well we bloody hope so anyway! ACST is a tricky one in that there’s an extra 30 minutes added in there along with the hourly change but we hope we got it right. 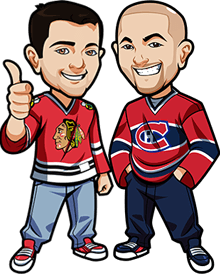 We’ll check with daylight savings and all that when it kicks in in case we messed anything up but if you see any issues hit is up at betnhl.ca@gmail.com. This is a printable version of the NHL schedule in Aussie Central Standard Time. You can also download if you want and search it by your favourite team.